The 2018 Women’s March took place across the nation and the world on Saturday, January 20th, from large cities to tiny communities. And believe it or not, even the smallest towns had some big turnouts. Case in point? Sandy Cove, Nova Scotia, where half the population participated in their own Women’s March despite the infamous Canadian cold. Yes, 32 of the community’s 65 permanent residents — including a toddler! — marched for women’s rights this year. Now that’s an impressive turnout, especially given that in 2017, only 15 people marched in Sandy Cove. Residents of Sandy Cove said it doesn’t matter where you live, women’s rights matter everywhere. Some people who live on nearby islands even took a ferry over to join the march. That’s some serious dedication. It’s definitely inspiring to see people everywhere fighting for justice and equality. 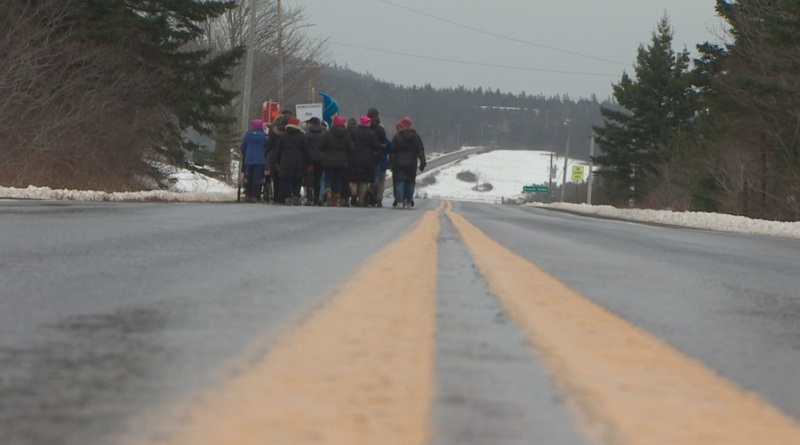 Check out the coverage of the small but mighty 2018 Women’s March in Sandy Cove, Nova Scotia. Prepare to be inspired! Moral of the story: You don’t need big numbers to make a difference in the world. These 32 standout ladies and gents sure made a big impact.